School is already starting! Summer flew by in a whirl of swim practice, piano lessons, and pool days and my sewing time has been really limited. But the kids grow! And the clothes get holes! Actually, my second daughter grows so slowly that I usually get sick of her clothes way before they are outgrown or worn out. But this year, she has finally grown enough to actually need new clothes and I’ve been slowly sewing some throughout summer. This layered ruffle Maggie Tee is going to be her ‘First Day of School’ Outfit and is my stop of the BSD Back to School Blog Tour. I tested the Maggie top in the fall of 2016 but somehow missed when it got an update. My daughter and I didn’t love the neckline in the original pattern but the high neck option in the update is just right for us! For my version I took the Maggie Top from Bella Sunshine Designs and hacked it to make a cute layered ruffle on the bottom. This shirt is my favorite kind of blend between versatile and cute. It will go with just about any of her shorts/jeans but the layered ruffles make it more interesting than your basic shirt. This sweet girl is petit and it’s nice to be able to sew up some tops that fit both her frame and her budding sense of style. She’s still little in so many wonderful ways, but is spreading her wings and maturing in the blink of an eye. Some of these photos make me catch my breath. It’s like looking through a time telescope to to see hints of the teenage version of my daughter! Its breathtaking and heart stopping and makes me want to squeeze and hold onto the little girl in her before its gone. Want to make one yourself? Here’s how. Measure your child and determine the corresponding size. Then size up! I wanted this shirt to be looser than the Maggie Top is drafter for. Plus, I knew from when we tested the original version that she needs more room for her wide shoulders. My daughter’s measurements place her in a size 7, but across her shoulders she is more like a size 9 or 10. I chose to make a size 9 width with size 7 length through the torso and she could still use a little more shoulder width. Cut three inches off the bottom hem of the pattern. Then cut out your pattern pieces plus an extra rectangle 3.5 inches by 4 times the width of the front shirt piece. Hem one long edge of the ruffle if you want. The fabric won’t fray because its knit, but the hem makes it a little more finished looking. I went for the raw edge look. Take the front pattern piece and cut the bottom in a diagonal from left to right. Keep the piece you cut off and cut it at a diagonal from right to left. Throw out the tiny triangle and keep the large one. Sew up the shoulder seams, attach the neckband, and sew the sleeves into the armscye but only sew down the left side seam (the long side of the front piece). Sew the large triangle to the right side of the shirt at the bottom of the back piece so the triangle with barely overlap the front piece. Take the extra rectangle and gather it along one edge. Pin the rectangle to the bottom of the shirt. Start at the right side (short side) of the front piece and continue all the way around the bottom of the shirt. How gathered the ruffle is depends on what you want. I ended up taking out some of the gathering so the ruffle is less full. Now it’s time to sew the last side seam. Place right sides together with the edge of the front ruffle in-between the front large triangle piece and back piece. The triangle and back piece are already sewn together so you need to sandwich the ruffle as tight in to the seam as you can. As you sew the side seam, you will catch the ruffle in the new, second seam and secure it. Pin the top edge of the large triangle so it underlaps (is that a word?) the seam where the ruffle attaches to the front of the shirt. Top stitch the ruffle. I unpinned the triangle at the center front of the shirt a little and started top stitching from the large triangle and continued around the shirt. I paused in my sewing to re-pin the edge of the large triangle back to the front ruffle seam before topstitching across the front. The topstitching should catch the top edge of the large triangle and secure it to the front. Now the front acts as one piece! Remove any basting threads from gathering the ruffle, hem the sleeves and you are done! A cute layered ruffle tee! And now she’s back to being my little girl and all ready for her first day! Check out the other stops on the BSD Back to School Blog Tour to see what others are doing with BSD patterns! 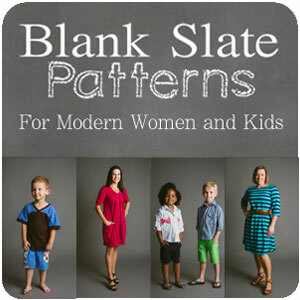 PLUS, BSD is having a pattern sale through Sunday, August 12, 2018. All girls patterns are $6, Ladies patterns are $7, and bundles are $12. Head on over to the Bella Sunshine Designs Site to browse! Another great pattern I love is the Sahara Dress! My daughter is outgrowing her purple one so I may need to sew up a new one soon! I love the ruffles! What a cute shirt! You totally changed the look of the Maggie shirt and I LOVE it! Thanks! She’s loving the shirt and was so cute on her first day! Those ruffles are so cute! I think I will have to try this with the Blythe top from Sew A Little Seam! That fabric is lovely as well. Thanks! I’d love to see how yours turns out!